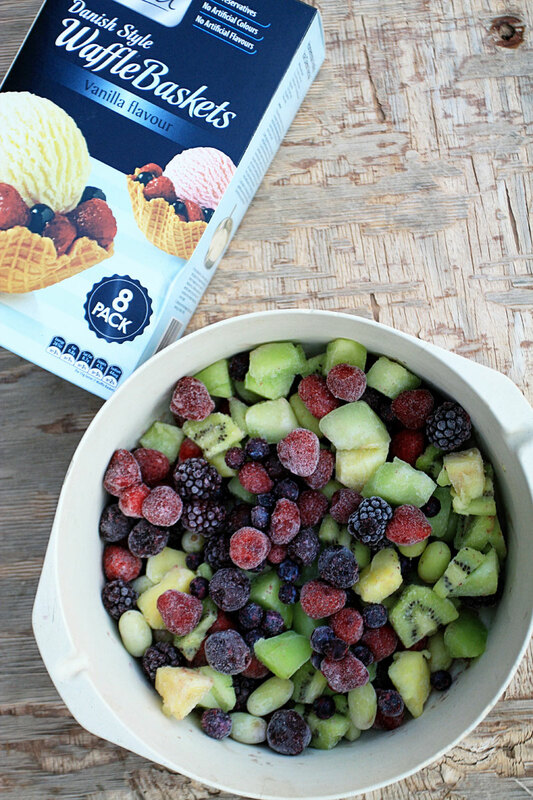 This is going down as one of my all time favourite pool side / beach side summer snacks! Seriously, so refreshing and delicious and BONUS healthy (okay, maybe not so much the waffle cup). 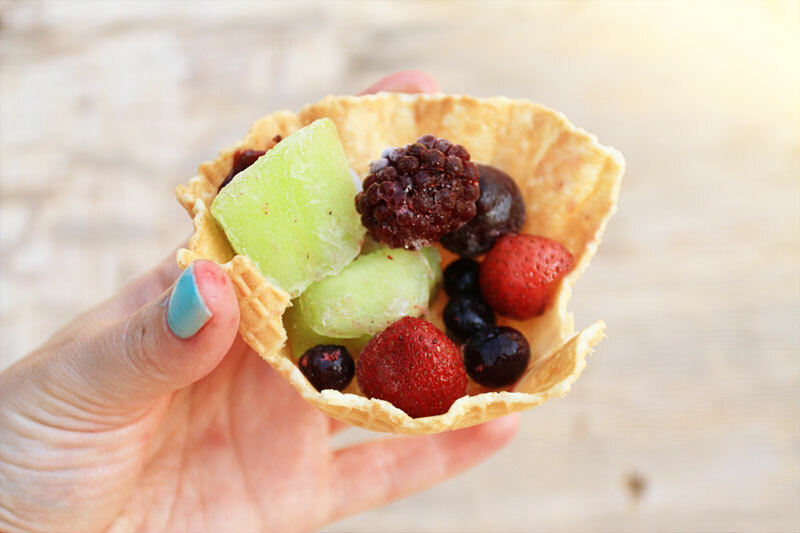 Literally all you need is the fruit of your choice and waffle cups or cones. 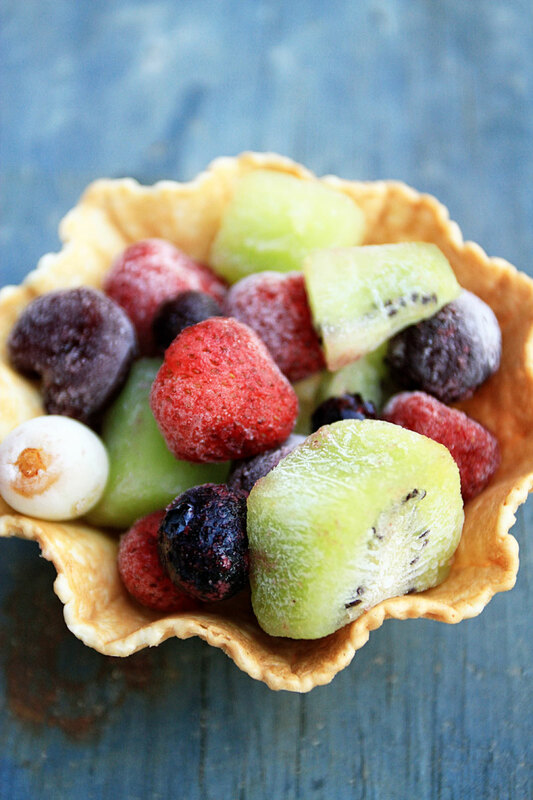 Chop up all the fruit and freeze it overnight. 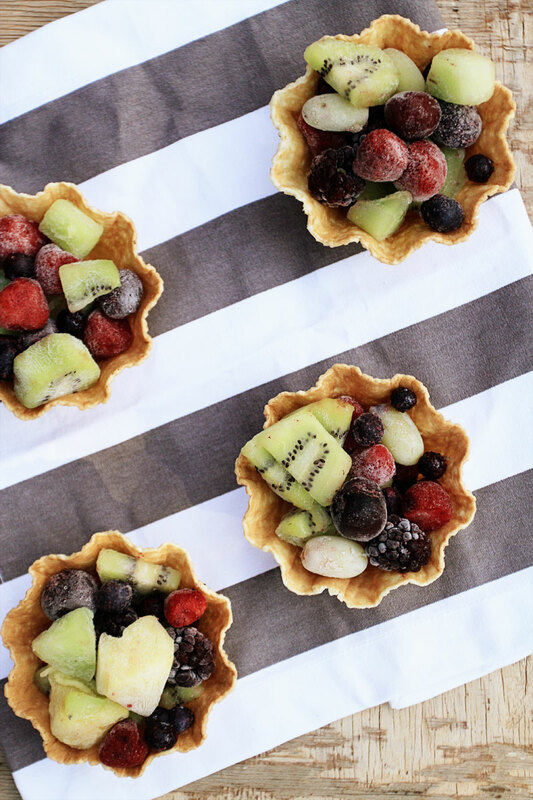 Once it’s all frozen, dish it up evenly in the waffle cups and serve straight away. So delicious!! And what you don’t eat you can re-freeze. How convenient.